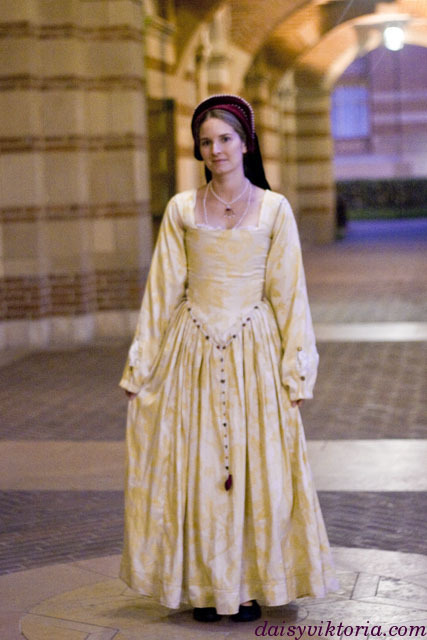 This is a dress from the Tudor period. 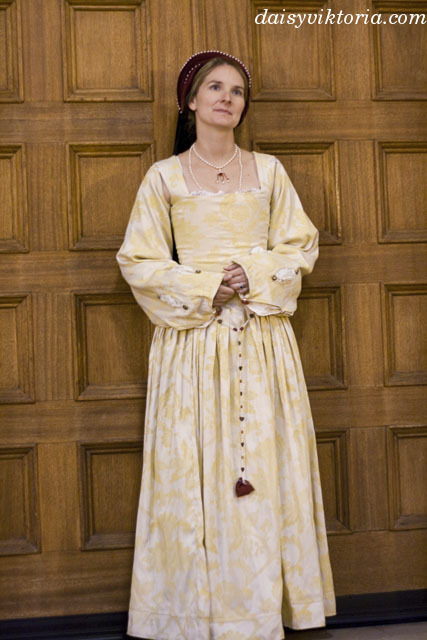 The fabric was dyed to create the golden yellow color. 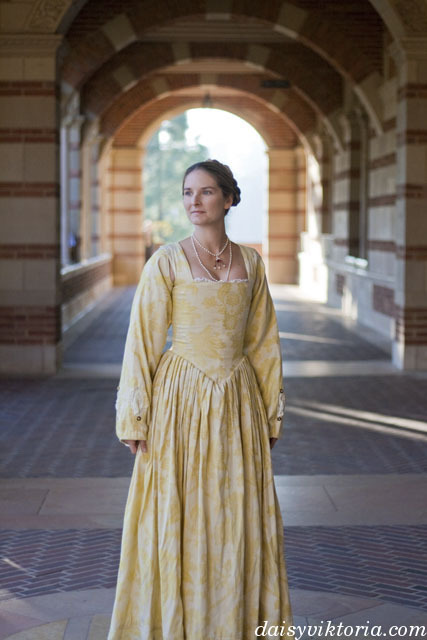 the dress is worn over a corset with matching jewelry and French Hood.